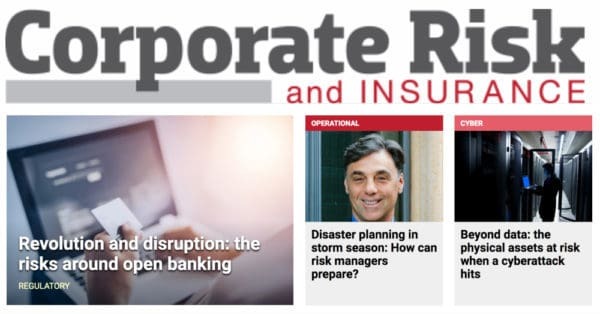 Corporate Risk and Insurance spoke to Arnold Mascali, Founder and President of Procor Solutions + Consulting, about how risk managers can build business resilience and respond to risk and disruption for their organizations. Mr. Mascali’s mission is to promote business resilience through superior risk management services by revolutionizing the way organizations view risk. 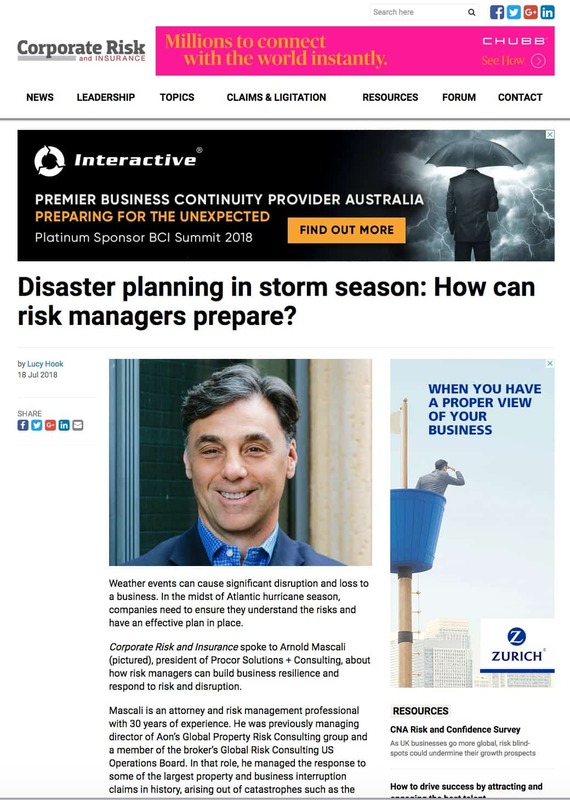 In the interview, Mr Mascali provides highlights to some surprising areas that have financial impact, and provides examples for more elastic pre-storm planning that allow organizations to bounce back faster after disaster strikes. You can read the full article here> Disaster planning in storm season: How can risk managers prepare? To learn more about Procor and how we bring clarity to loss by viewing risk through a new lens, reach out at info@procorllc.com.